ECPI University is pleased to announce its new Master of Science in Nursing program has received full accreditation from the Commission on Collegiate Nursing Education (CCNE). “The process of accreditation is entirely voluntary and programs seek accreditation to demonstrate to the public that the nursing program is well designed, well managed, and provides a solid nursing education to its graduates,” says Dr. Deborah Clark. ECPI University is pleased to announce its new Master of Science in Nursing program has received full accreditation from the Commission on Collegiate Nursing Education (CCNE). 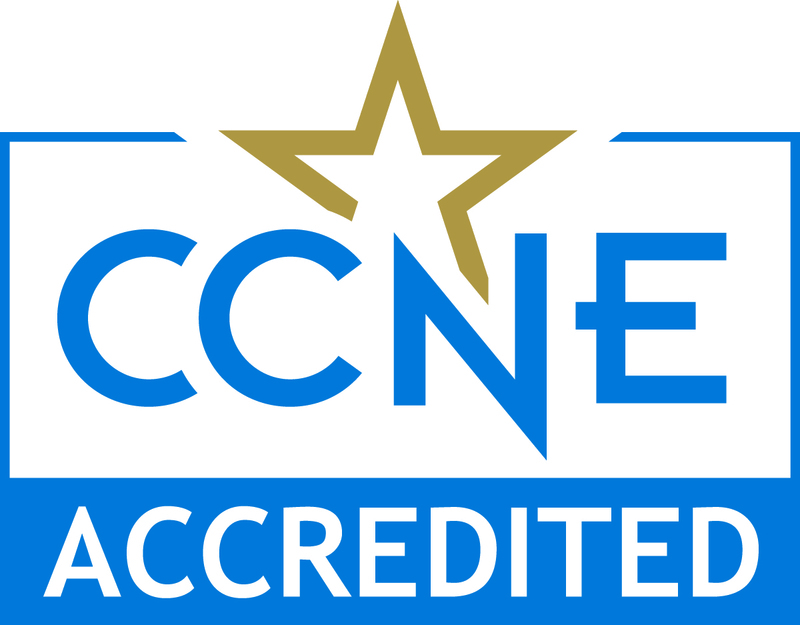 CCNE is a national accrediting body for baccalaureate and higher nursing education programs and is recognized by the U.S. Secretary of Education. CCNE evaluates nursing education programs for high quality, integrity, and successful program and student outcomes. ECPI University’s Master of Science in Nursing program encompasses two distinct and high-demand concentrations: Health Systems Leadership and Nursing Education. The concentrations are guided by the American Organization of Nurse Executives (AONE) and the National League for Nursing’s Certified Nurse Educator (CNE) competencies throughout the curriculum. For more information, please contact ECPI University Director of Communications David Brandt at 757.213.3613 or dbrandt(at)ecpi(dot)edu. On campus or online, fields of study include: HEALTH SCIENCES: Master of Science in Nursing, Nursing (RN to BSN), BS to BSN, Nursing (RN), Practical Nursing, Healthcare Administration, Health Information Management, Physical Therapist Assistant, Massage Therapy, Dental Assisting, Medical Assisting, Radiography, Sonography, Surgical Technology; TECHNOLOGY: Master of Science in Information Systems, Master of Science in Cybersecurity, Cyber and Network Security, Information Systems, Software Development, Cloud Computing, Web Development, Electronics Engineering Technology, Mechatronics/Advanced Manufacturing, Mechanical Engineering Technology; BUSINESS AND CRIMINAL JUSTICE: Master of Business Administration (MBA), Accounting, Business Administration, IT Management, Hospitality Management, Criminal Justice, Homeland Security; CULINARY: Culinary Arts, Culinary Nutrition, Food Service Management, Baking and Pastry Arts. (Program field availability varies by campus.) For more information, visit http://www.ecpi.edu.